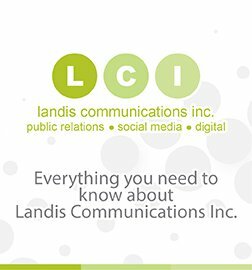 Home/About Us: Landis PR/What is PR? Public relations is about reputation – the result of what you do, what you say, and what others say about you. And effective public relations can help businesses realize their corporate goals as a means of ensuring success. Public relations is the discipline which looks after reputation, with the aim of earning understanding and support and influencing opinion and behavior. It is the planned and sustained effort to establish and maintain goodwill and mutual understanding between an organization and its public. ‘Organization’ can be a business, a profession, a public service, a government body or a body concerned with health, culture, and education – any corporate or voluntary body large or small. ‘Public’ are audiences that are important to the organization. They include customers – existing and potential; employees and management; investors; media; government; suppliers; opinion-formers. ‘Understanding’ is a two-way process. To be effective, an organization needs to listen to the opinions of those with whom it deals and not solely provide information. Issuing a barrage of propaganda is not enough in today’s economy and business climate. Public relations takes many forms in different organizations and comes under many titles, including public information, investor relations, public affairs, corporate communication, marketing, or customer relations. To add to all the confusion, not all of these titles always relate accurately to public relations, but all of them cover at least part of what public relations is. At its best, public relations not only tells an organization’s story to its public, it also helps to shape the organization and the way it works. Through research, feedback communication, and evaluation, the practitioner needs to find out the concerns and expectations of a company’s public and explain them to its management.